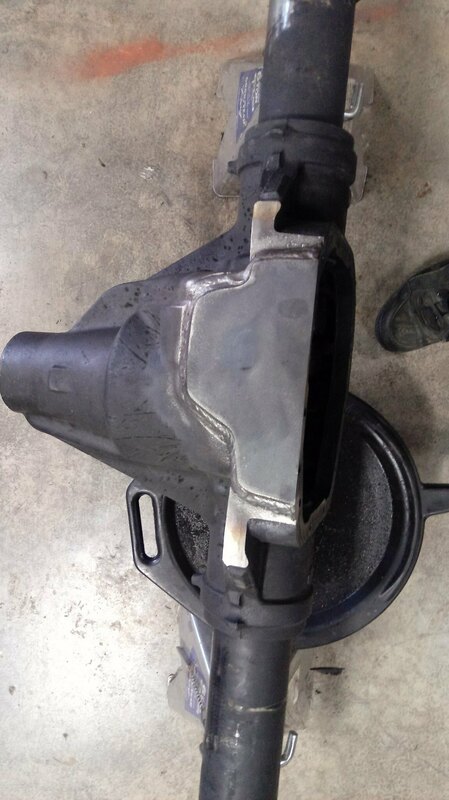 We had a customer at our shop want us to install a ballistic fab shave kit on his 10.5" sterling axle destined to go in his JK. 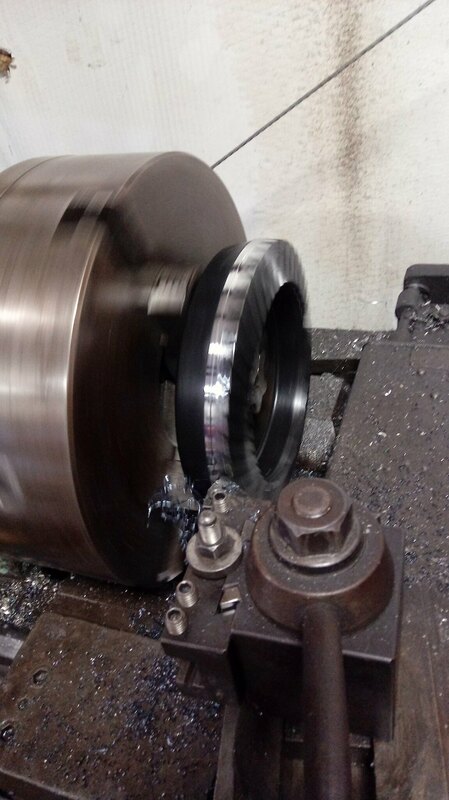 I started by turning down the ring gear to 10" in our lathe. 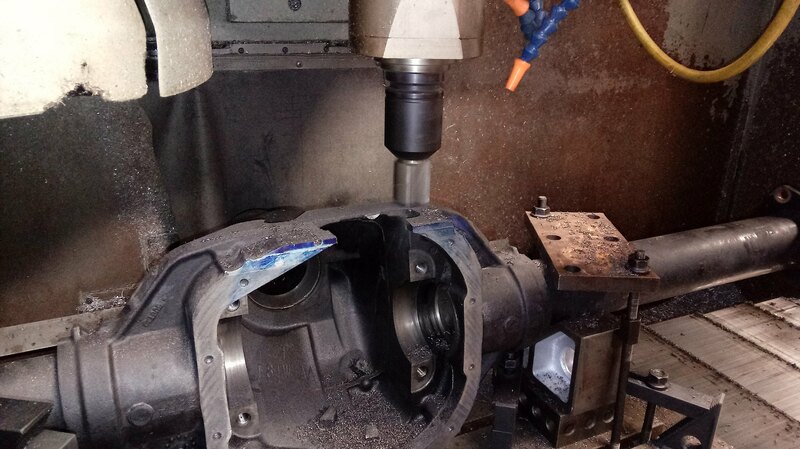 Next, we setup the axle in our CNC mill. We didn't have a fixture for holding the axle but we made it work using some V blocks and clamps. Testing the fit while it's still setup in our mill. 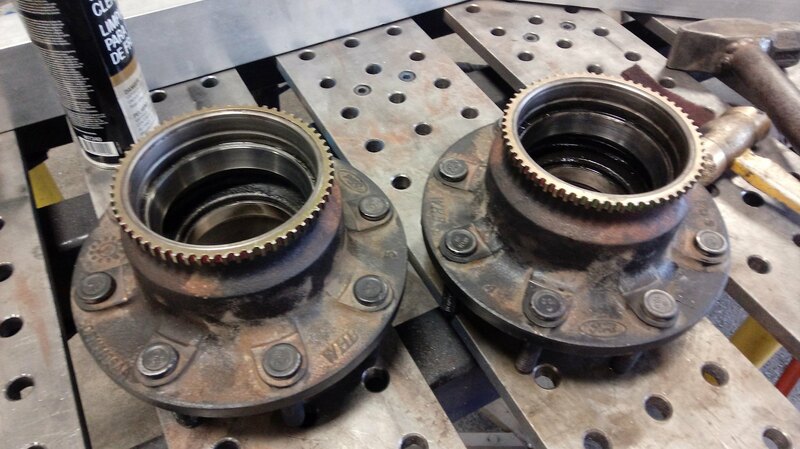 While we were machining stuff, we turned down the back of the hubs and pressed on these abs rings. We welded this plate on the bottom. Special precautions had to be taken as the housing is cast iron. We used 0.045 Ni55 welding wire with 90/10 gas mix for spray transfer. 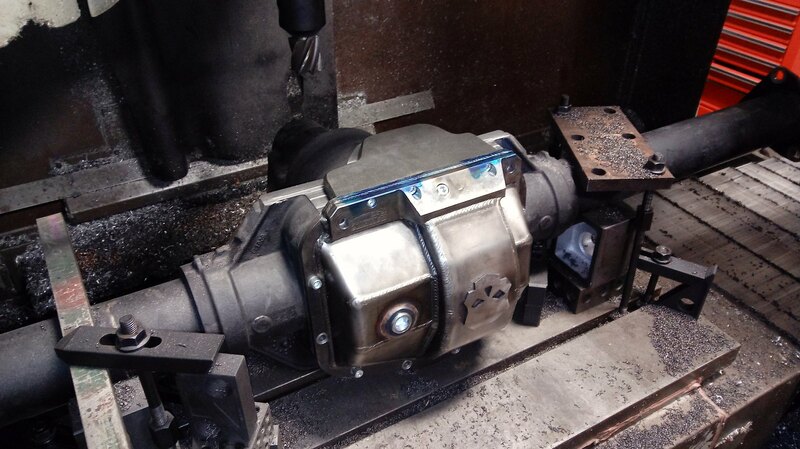 We pre heated the housing to 250 degrees. 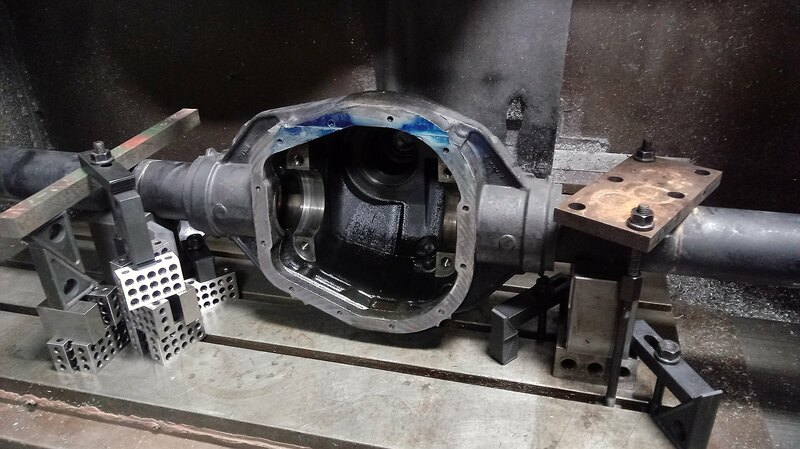 Between each pass we used a knotted wire wheel on a grinder to clean up the weld area as the casting was very dirty. 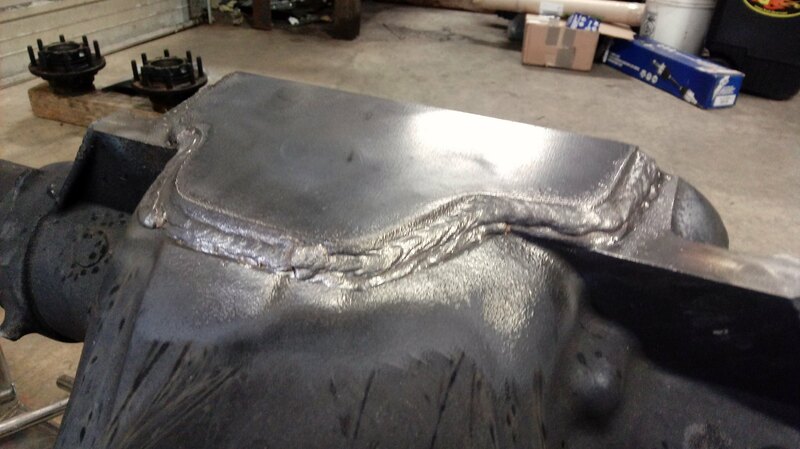 We also used a needle scaler to stress relieve the weld area between passes. 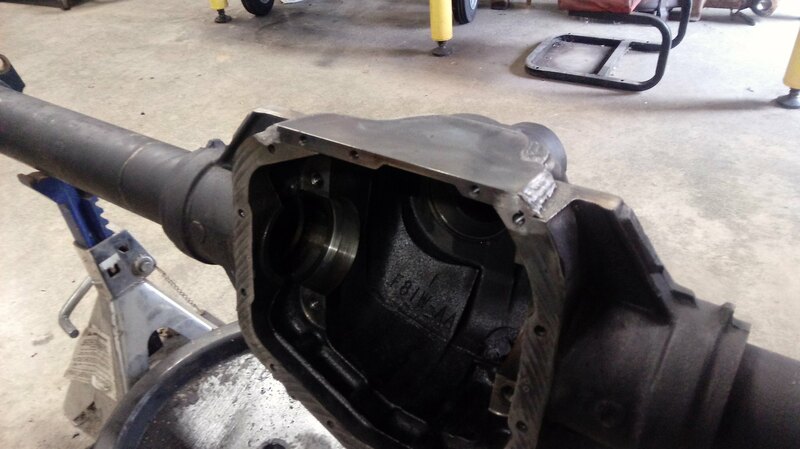 Once the welding was finished, we stuff a welding blanket inside the diff and wrapped another one around it. This allowed it to cool down really slow. Wow, very nice. Not many 4X4 clubs have members with this sort of skills and capabilities. Hail HURTS...aske me how I know! Nice work John you got mad skills! 1985 ToyBuggy w/TBI GM4.3/TH350, Marlin doubler, 4.88's, locked front & rear, 37" TSL SXII, and other stuff. Thanks guys. I hope you guy enjoyed see the pictures of doing this. I'll try to share more stuff like this in the future.